This keynote session will set the stage for a thorough discussion of patient misunderstanding of prescribed drug label instructions as a common cause of unintentional misuse of medication, lack of adherence and adverse health outcomes. At greatest risk are those with limited literacy and English proficiency. 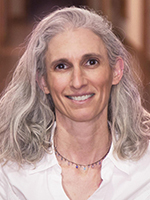 Based on extensive research in this field with patients, providers and pharmacy groups, Dr. Wolf will share research findings, especially a recent study showing the impact of more patient-centered medication labels among patients with low health literacy. 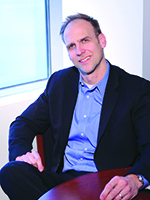 Michael S. Wolf is a health services researcher and cognitive/behavioral scientist with expertise in adult learning and cognition. For the past 11 years, he has studied health literacy-related issues, spanning the extent and association of limited literacy with various health outcomes, its meaning and measurement, and the development and testing of interventions to reduce literacy’s impact on health. 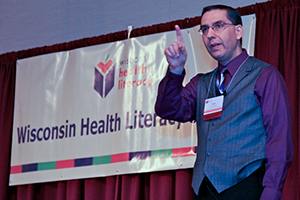 Since 2004, he has had more than 125 health literacy-related publications, has served on multiple national panels on health literacy, aging, and chronic disease self-management, and now actively leads numerous federal and private-funded studies pertaining to literacy skills, medication understanding, and adherence with colleagues across the country. He helped write the California State Board of Pharmacy and New York City bills on patient-centered drug labeling, which included both literacy and language concerns. His work in health literacy, and also in patient safety, has led to numerous national awards, including the first Pfizer Health Literacy Scholar Award, three Pfizer health literacy visiting professorships (Univ. of Illinois, NYU, Lincoln Memorial), the Institute for Healthcare Advancement Outstanding Health Literacy Research Award, the National Patient Safety Foundation Health Literacy Award, and a J. William Fulbright Distinguished Faculty Scholar Award to the United Kingdom. He is the Founder and Co-Director of the Health Literacy and Learning Program (HeLP); a collaboration between faculty within the Schools of Medicine and Education and Social Policy at Northwestern. He is Associate Division Chief – Research for General Internal Medicine; His role is to further develop our research agenda in health literacy, communication & behavior. The panel will focus on what patients want on their medication labels, based on a series of focus groups and interviews conducted by Wisconsin Health Literacy and the personal experiences of several community members. This presentation will include the findings, followed by a robust discussion of the importance of gathering patient feedback as part of improving health care delivery. Implementation of the USP patient-centered prescribed medication label guidelines is underway at 3 pharmacy systems comprised of 52 pharmacy sites in Wisconsin. Learn about this project, supported by the Advancing a Healthier Endowment of the Medical College of Wisconsin. 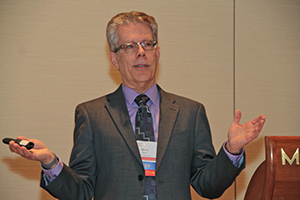 Hear from Wisconsin Health Literacy staff and pharmacists from each of the systems to learn what changes were made to the labels, how they are working and how patients are responding. 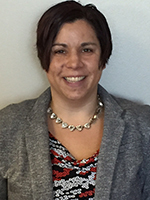 Lauren Werner, MD, MPH, is the Health Literacy Project Coordinator at Wisconsin Health Literacy. She is responsible for the organization and implementation of the project Adopting an Easy-to-Read Medication Label in Wisconsin. 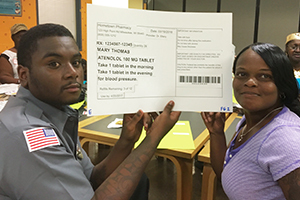 This program investigates the effectiveness of using patient-centered pharmacy prescribed labels to improve patient understanding and proper medication use. Lauren is also the Vice Chair of the Board of the international non-profit Roots Ethiopia, which supports community-identified solutions to job creation and education. She earned a B.A. degree in History of Medicine and Public Health from Yale University, and an M.D. degree from Wake Forest University School of Medicine. Her commitment to public community health led her to obtain her Master's in Public Health from the University of Wisconsin-Madison, with a focus on health literacy and patient-centered health care. 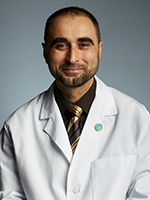 Hashim Zaibak started his career as a pharmacist in 1999 after graduating from the University of Illinois-Chicago. With over fifteen years of experience, he has seen the industry from multiple vantage points. Hashim is the owner of Hayat Pharmacy in Milwaukee, Wisconsin and runs six central city pharmacies. Aside from Hashim's experience, he is well known as a helpful educated medical counselor. 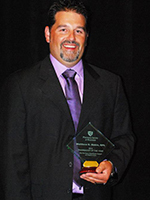 He dedicates time to giving health education presentations and teaching patients proper medication administration. As recognition of Hashim’s excellent service to the community, he was named the 2014 Pharmacist of the Year by Pharmacy Development Services and Health Mart’s 2014 Pharmacy of the Year. Melissa Ngo, PharmD, BCACP (Clinical Instructor) received her Doctor of Pharmacy degree at the University of Iowa in 2002. Currently her position is Supervisor Ambulatory Pharmacy Services at UW Health. She is responsible for overseeing daily operations amongst our community pharmacies as well as 340B contractual pharmacy programs. She serves as a preceptor for pharmacy practice and administrative residents. Her professional interests include programs that help serve the underserved patient populations, maximizing pharmacy operational efficiencies, specialty pharmacy and clinical pharmacy practice advancement. One of the most widely acclaimed experts in medication use and health services for the underserved, Dr. Parker will share her observations on the current status of communication challenges regarding medications. She will discuss medication labels as an issue at the intersection of health literacy and patient safety as well as why it’s vitally important to improve medication labels to improve engagement in health care. Information will be shared on medication communication advancements to date and the stage set for what the next steps should be. 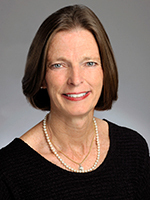 Ruth Parker, M.D., is Professor of Medicine, Pediatrics and Public Health at Emory University School of Medicine. For over two decades, she has done clinical research, advocacy and health policy to help define health literacy and its associations, and to advance a health literate nation. In the last decade her research focuses on interventions, especially relating to medication labels to advance health literacy. Her efforts span collaborations with various federal and state agencies, the National Academies of Science and members of industry. She has received national awards for her work.